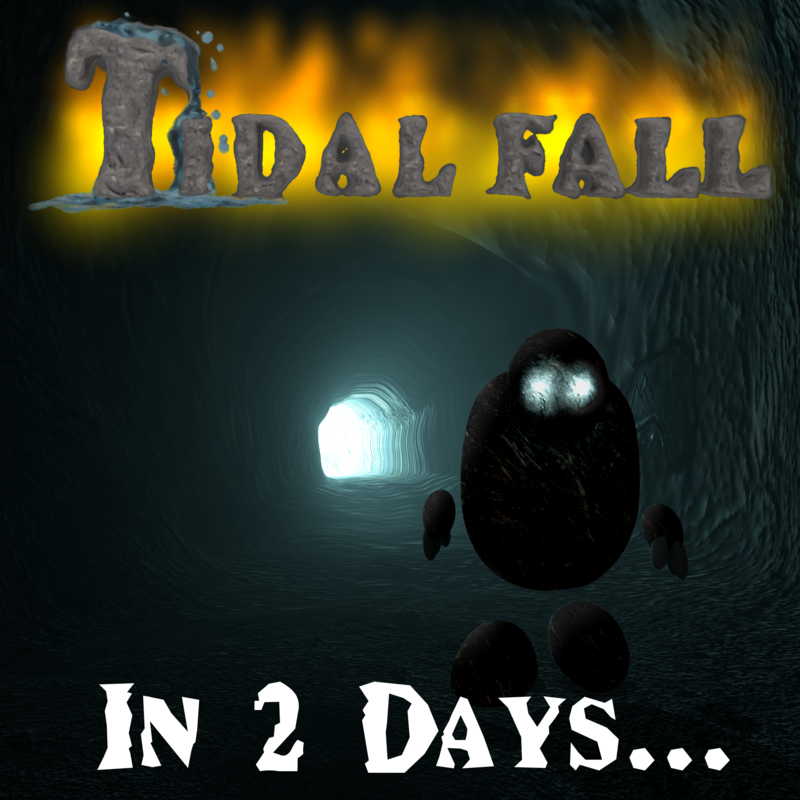 So there's two days to go before Tidal Fall hits the shelves! Virtual shelves, but shelves nonetheless. And while we all wait impatiently for December 1st, I decided to clean out all the concept art I have lying around my desktop and pop them on here for you all to see. Most of the best stuff has already been posted, including the original sketches for the characters, but these renders at least give a little insight into what went in to designing the game. 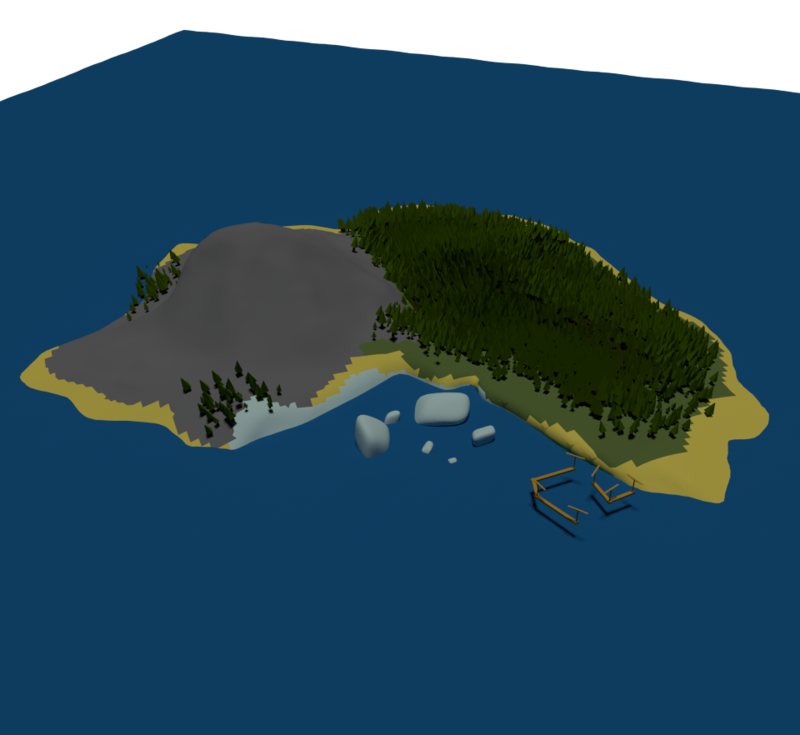 First off is the rather rubbishy model of Tengy that I threw together to get a sense of what the island would look like. Note the poorly done vertex painting and complete lack of proper lighting. Next up is a much more aesthetically pleasing render of Kole. 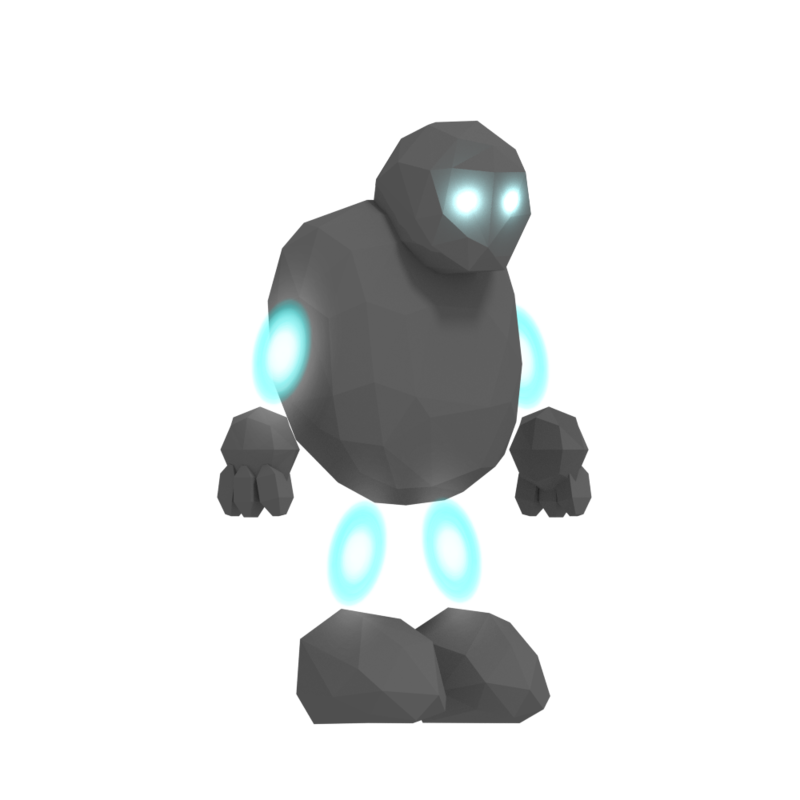 He was originally supposed to look much more muscular and intimidating, but that didn't fit with his personality, so I discarded it in favor of the boulder-like form he has in-game. I went through several iterations of Kole's head. At one point I had a kind of motorcycle helmet look going (right), which was interesting but again was too intimidating. The Kataka Scout was an interesting one to make. 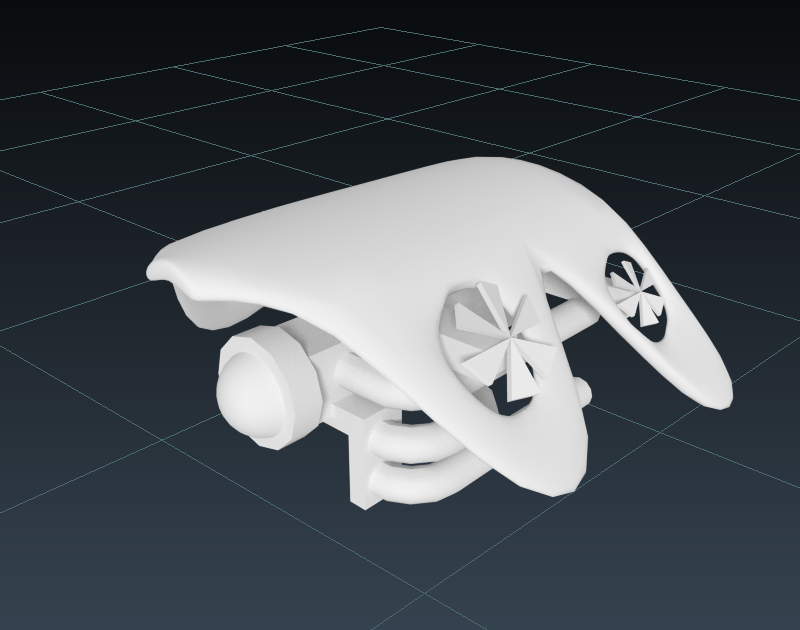 Its shape from the top looks somewhat like a banal mechanical butterfly with propellers on its wings. The pipes lend themselves to the whole steampunk theme, and the singular, imposing eye gives it a "big brother is watching you" vibe. 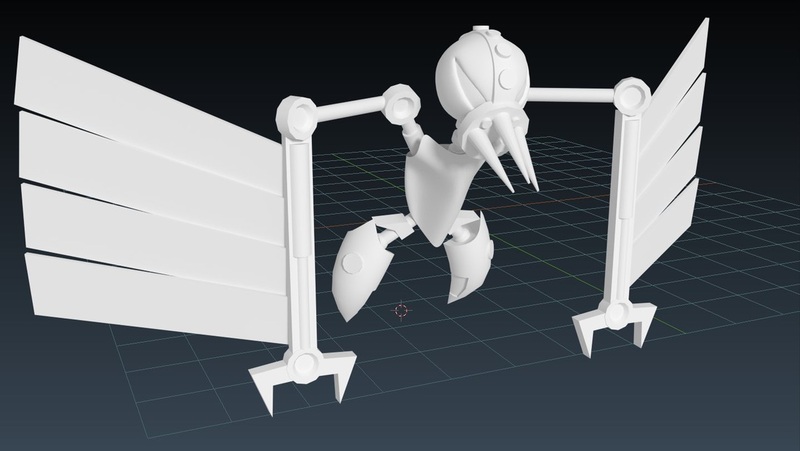 Finally, the Kataka model. 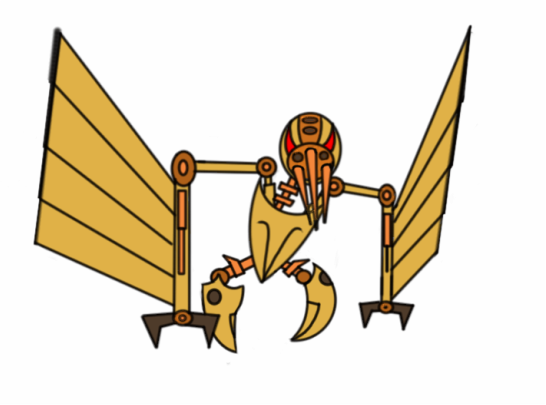 When I started out, I really had no idea how the mechanical bird scientists would look; In my mind, they were simply a mess of cogs, hinges, and pistons in a vaguely bird-shaped form. It was only after I sat down and actually sketched them one out that I settled on the sleeker, more streamlined model above. 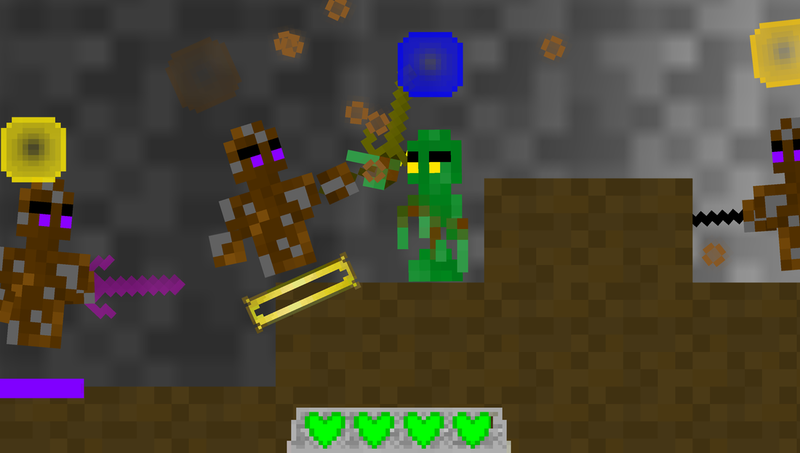 So that was a little peek at how the inhabitants of Tengy looked while in development. In a couple of days, you'll be able to see them for yourself in-game; remember to mark those calendars! Dev Blog #13: Tidal Fall Done? It's been a while, hasn't it? A load of other projects got in the way, and life happened. Annoying, but necessary. 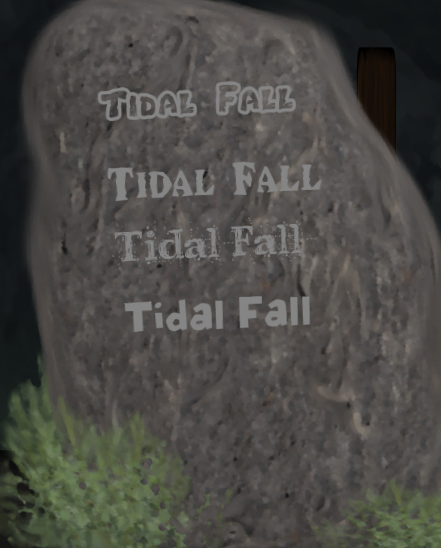 Anyhow, Tidal Fall is officially done! Development is over! Complete-a-mundo! All kidding aside, I'm really happy to have finished another game, especially seeing as it's actually fun this time (compared to Kastor). Still want more Tidal Fall stuff? Check out the amazing OST composed by John Hagley on Soundcloud! Check back soon: The release time is nearly nigh! Oh, and in case you want to make my day, you can follow me on twitter. Followers are the equivalent of three Iced Teas for me. I know,the weekly dev blog idea went pear-shaped. But I have a jolly good reason: I've been working on this. So as you can see, I've by no means been idle in my absence. 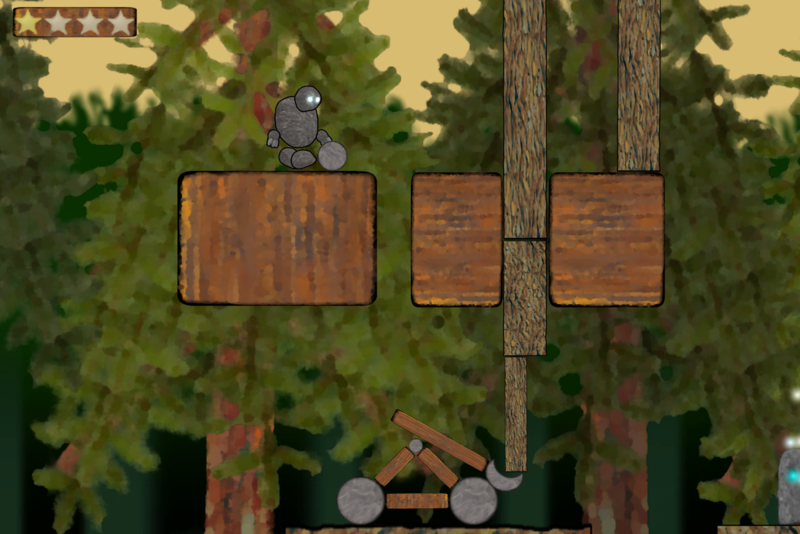 Half of the story levels have been completed, and I've added a load of features such as catapults, enemies, explosives, ropes, etc. 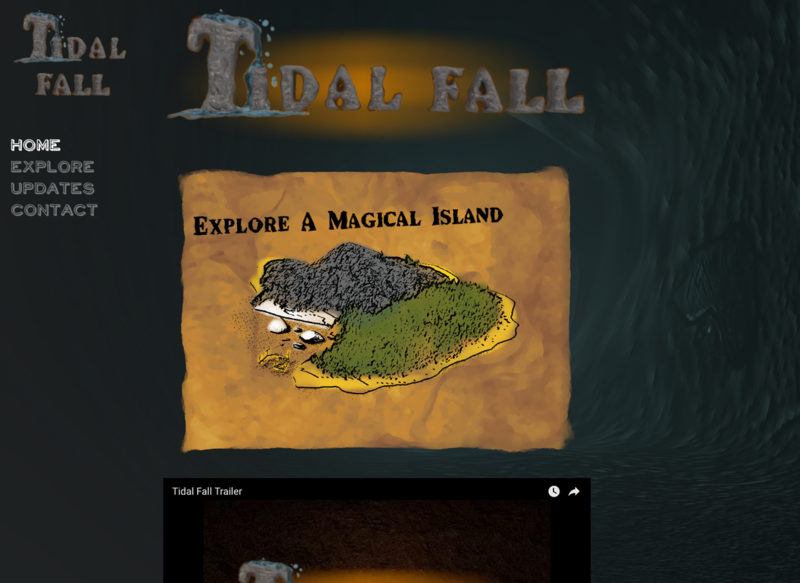 Oh, and I nearly forgot: Tidal Fall now has a trailer! Shufflers are small, hooded creatures who live on the icy drifts and caves in the south. 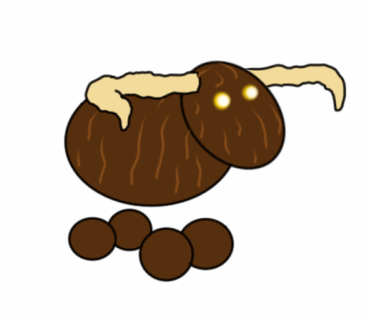 Given their small stature and lack of elemental affiliation, they're often looked down upon by the other creatures of Tengy island as a lower lifeform. On the contrary, the Shufflers are a robust and resourceful race, managing to survive in the harshest of environments. Shufflers have a very poor tolerance of direct sunlight, meaning most of them wear hoods or other such headwear. An exception to this is the Historian, A shuffler dedicated to the documentation of history, who lives in a cave miles below the surface. The Historian hasn't been seen by the islanders for years, and some believe he may only be a myth. As the oncoming tide threatens the Shuffler's iceberg homes, It will be up to Kole and Wight to rescue as many as they can, while also trying to solve the centuries-old mystery of the disappeared ice-spirits. Yep, I finally got a demo for Tidal Fall working! 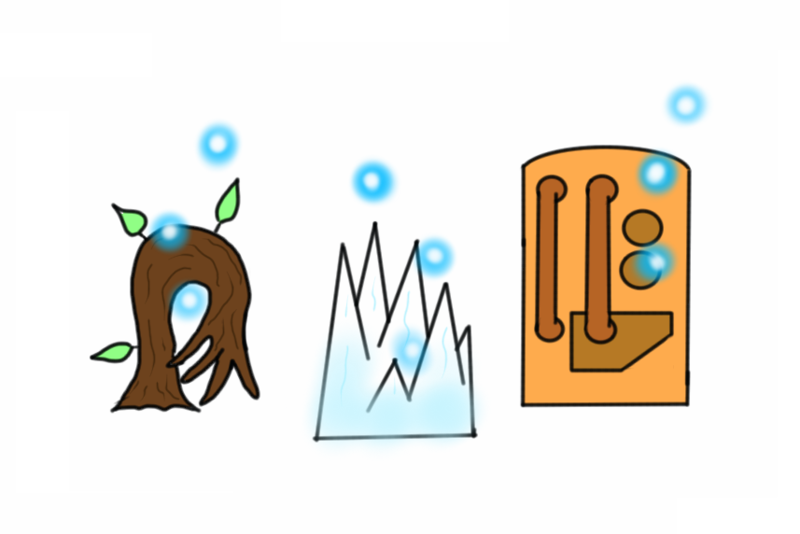 [:P] The build is only intended to demonstrate the mechanics aspect of the game, with art, sound, and all other components firmly in the non-final category. So far there are downloads available for Mac, PC, and Linux. Normally I would have an online version, but Google is a jerk and removed the code that Unity's webplayer runs on. If anyone wants to test this out on an additional platform, drop me a comment below. With the gameplay demo just around the corner, ​I've been working on the user interface a bit to make things looking slightly more professional than Ariel Regular. [:P] Apart from touching up the labels, buttons, and multiresolution aspects of the UI, I've also been browsing some fonts to see what caught my fancy. Only problem is, I found rather a lot that did. After narrowing it down to these four, I'm still undecided about which one to pick. I'm leaning towards the second one because it's the font that inspired the Tidal Fall logo, but otherwise they all have equal appeal. Which one do you guys think I should pick for the main text in the game? Post your favourite in the comments, and save me from having to roll some dice to decide (Yes, I do that more than I should. [:P] 'Tis the roleplayer's curse [:P]). 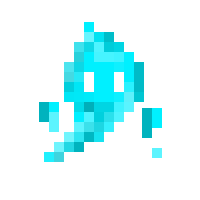 Wight the water-spirit goes way, way back to my very first draft of Kastor. At that time the game was a room-based world with JRPG-like controls, a little like the original Legend of Zelda game. Wight was intended to be a test character, a placeholder for the heroes in the final build. I wanted to have wight explain the game mechanics to the player, in a more interactive tutorial than the one currently in the game. However, time restraints kicked in and I had to abandon that plan, leaving Wight free to be used in other projects. 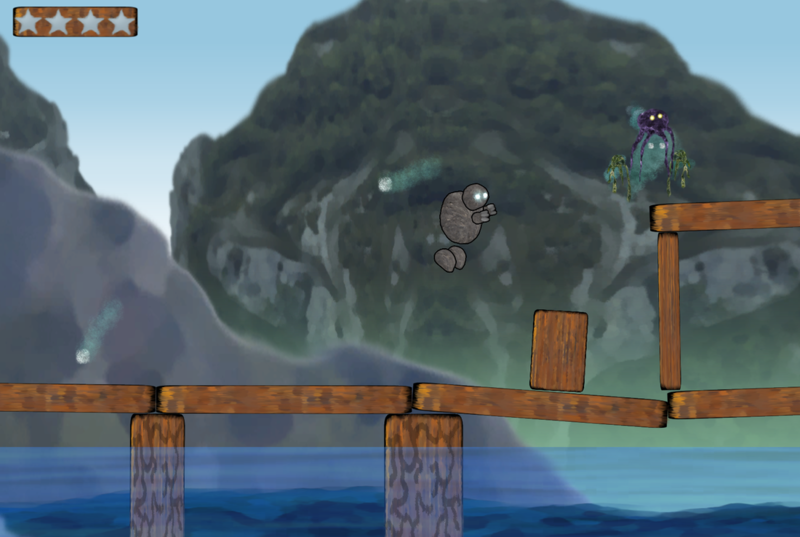 At first he seems an unlikely companion for Kole, as the game's whole premise is about escaping water. But wight is in just as much danger as his best friend: The seas he used to call home have turned against him, threatening to swallow the only known landmass in his world. As the story unfolds, Wight will realise he no longer has control of the tide, prompting him to join Kole in his quest to save the island. At first I was going to render Wight as a sprite (there's the rhyme again! 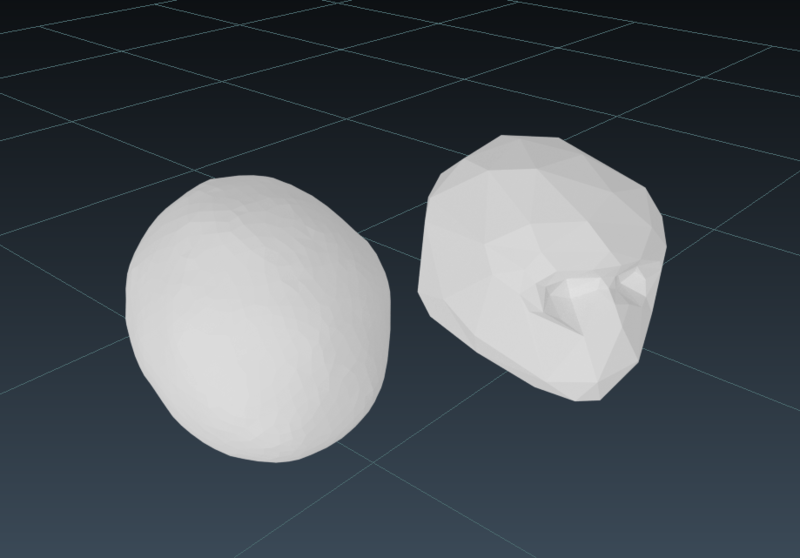 ), using still frames rendered from a 3D physics engine. 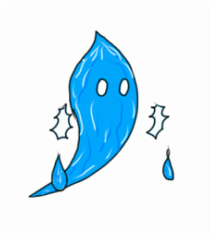 While the animation managed to portray the fluid, ever-changing nature of a water-spirit, the 3D graphics looked horrendously out of place beside the hand-painted style used in the rest of the game. 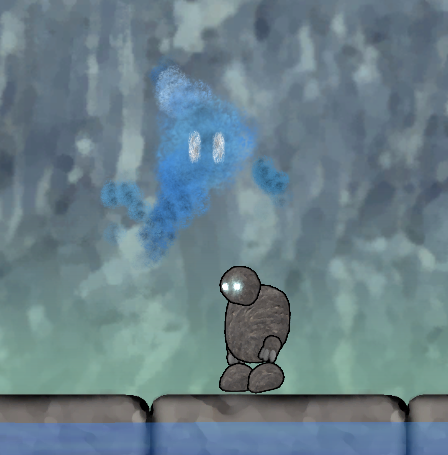 A very early test to determine how a water-spirit's physics would appear. A very early test. 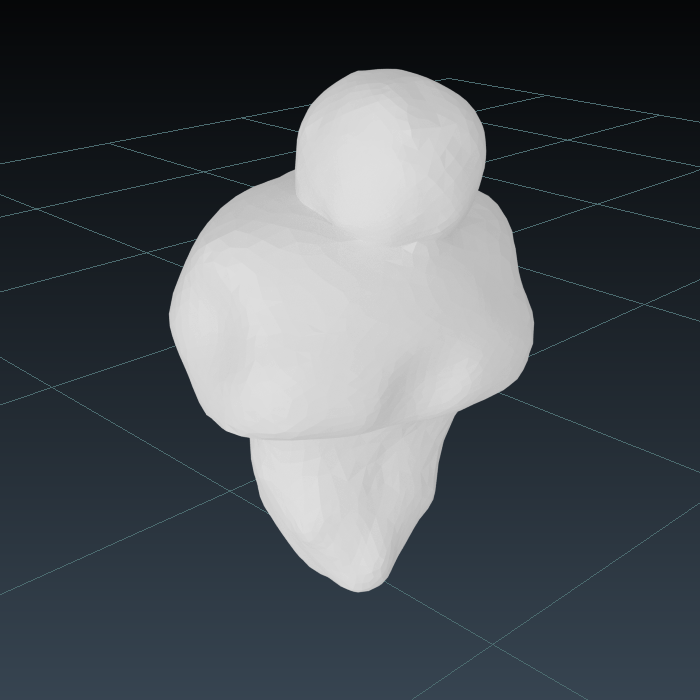 After a bit of messing around, I eventually decided to use a particle system to simulate his form. While not as "drippy" as the test render, it still comes across as being fluid, and constantly in motion. 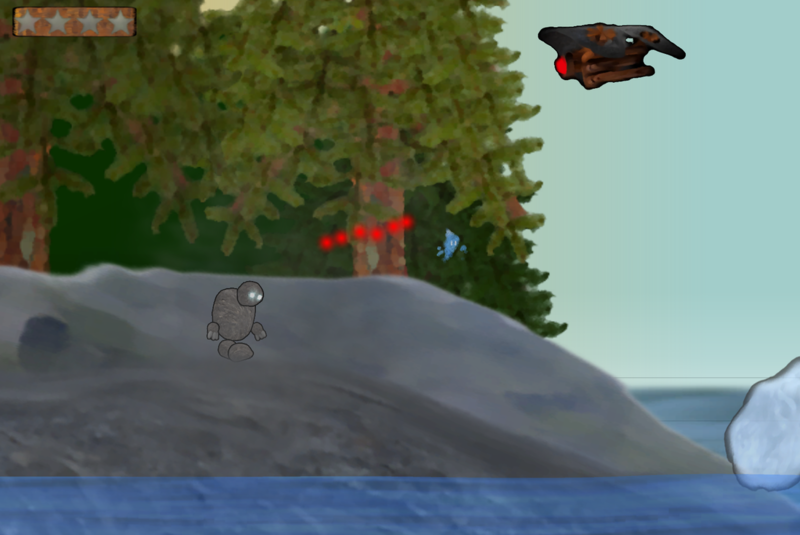 Having the ability to hover, Wight will be a great help to Kole as he tries to stay above the tide. I can also imagine some fun mechanics to implement if he becomes a playable character (Or rather, when he becomes a playable character [:P]). 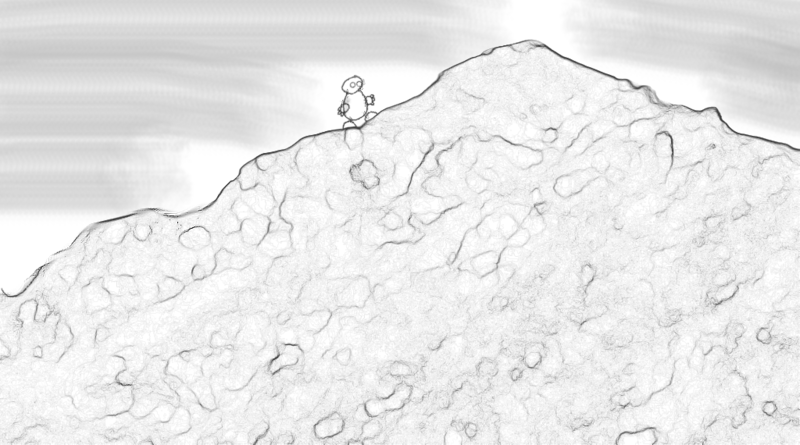 The gameplay demo is coming along fine. 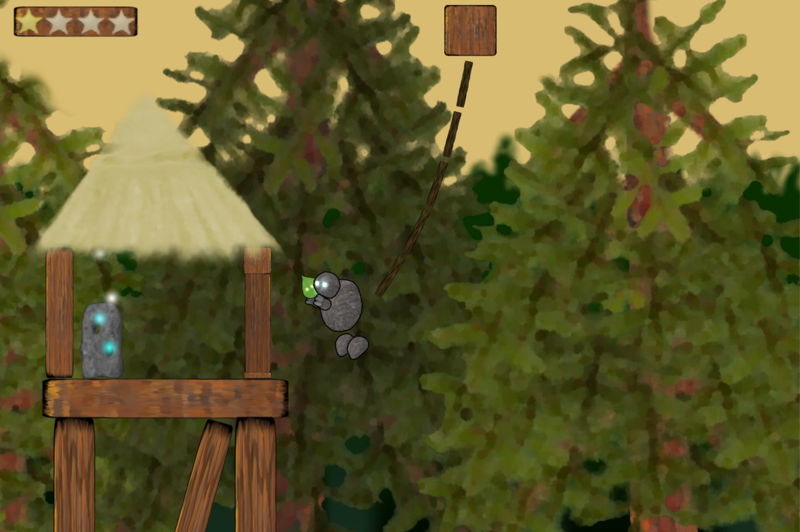 I'm currently working on three different gamemodes (Survive, Rush, and Rescue), ironing out the glitches and such. 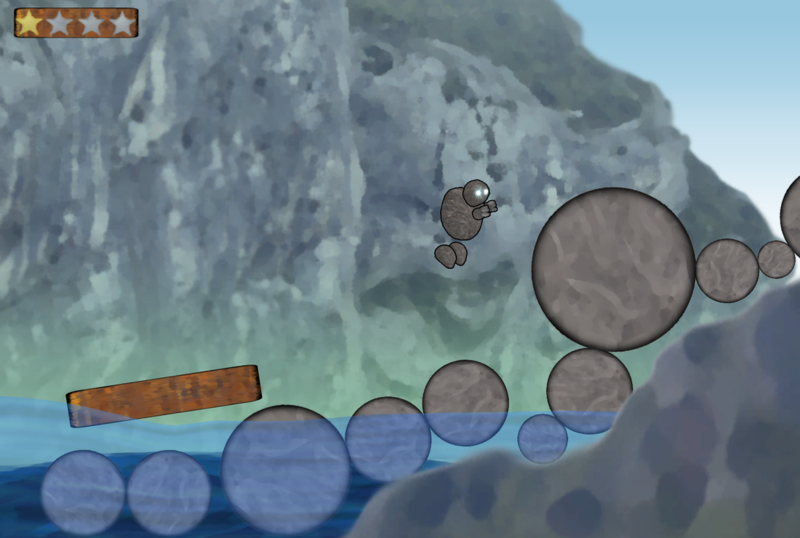 Fingers crossed for a release in the next couple of dev blogs. 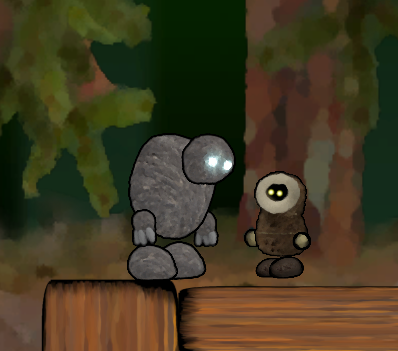 The focus character of Tidal Fall, a stone golem named Kole, came to mind immediately after I dreamt up the core game mechanic. 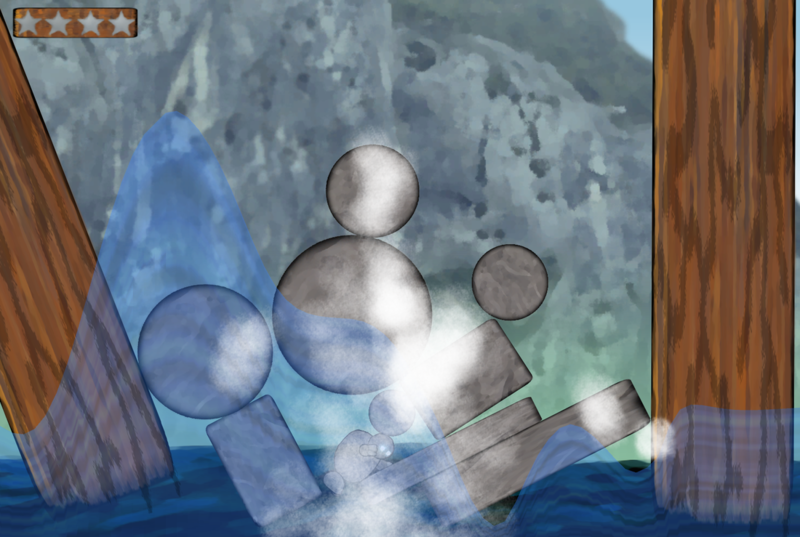 It seemed fitting that a being completely made out of rock would want to escape the oncoming tide: one false step, and he would sink like a stone (literally). Back when I was unsure of what art style to use, I did a few test renders of Kole in a low-poly style. I've always loved minimalistic art, but it didn't really gel with the feel of the world. In the render above and in Kole's original drawing, his arms and feet were connected to his torso by way of the Lifeforce, a mystical energy that keeps the elements balanced and gives life to the creatures of the island. After seeing it in-game though, I decided that the Lifeforce should be focused solely on his eyes, giving them a more prominent focus.